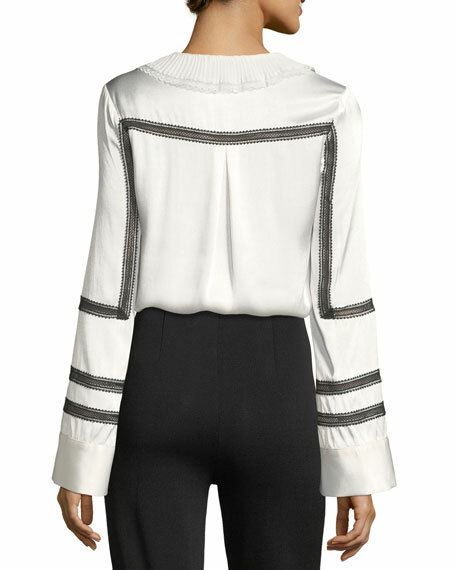 Self-Portrait satin blouse with pleated frills and monochrome trim. Plunging neckline with button trim. For in-store inquiries, use sku #2436853. 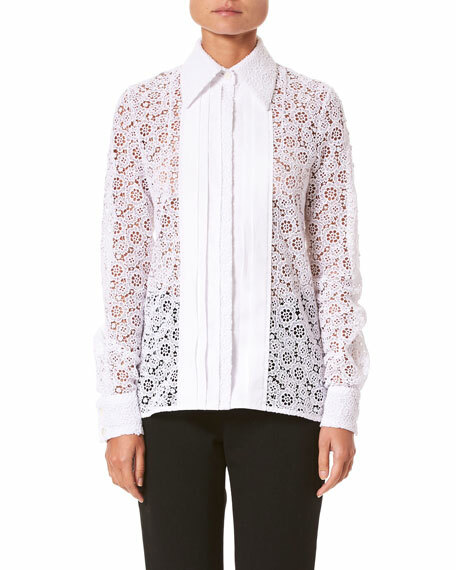 Hanro "Enya" shirt with lace yoke of an opulent leaf & blossom motif. 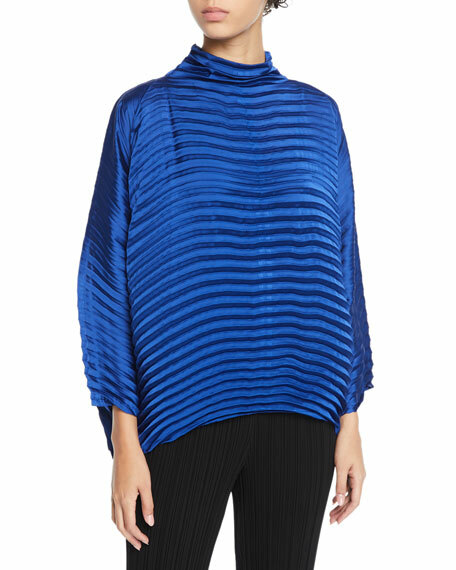 Either underpinning or outerwear. Crew neckline. Long sleeves. Fitted silhouette. Straight hem. Virgin wool/silk. Made in Portugal. palmer//harding "Spicy" grid-patterned shirt. Spread collar; partial button front. Long sleeves; button cuffs. Yoked back shoulders. Relaxed silhouette. 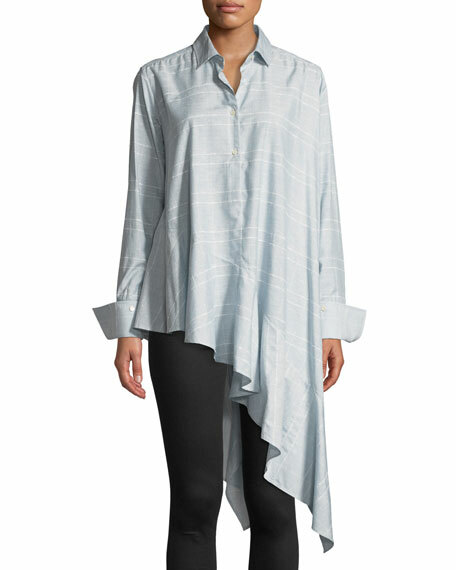 Asymmetric flounce hem. Viscose/cotton/silk. Made in United Kingdom.